2016 Modeltruck Kit News | modeltrucks25 | Fotki.com, photo and video sharing made easy. Italeri New Mercedes Actros first Test Shots! It promisses to be an "awesome" kit!!! NEW!! 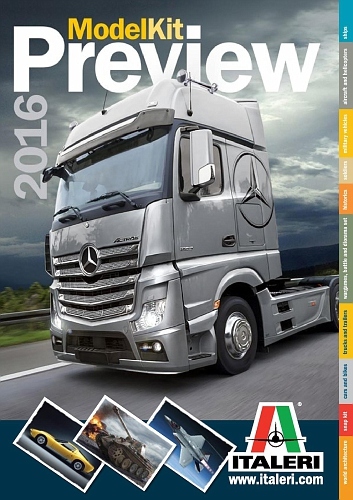 Truck Modelling Book 2016 NEW!! OK folks, time to tell the truth. 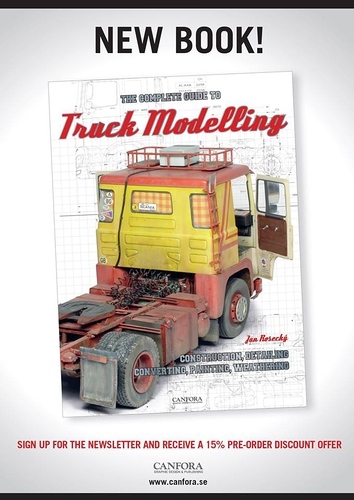 Since autumn 2014 I have been working on a book dedicated to building truck models. Now, in March 2016, the book is in its final stage and the book will be published in May 2016. The aim was to make a comprehensive summary of all my knowledge and experience I have gained in nearly twenty years of building truck models in 1/24 and 1/25 scale. Although I was flirting with a book written in Czech I soon decided that English is more viable option and will serve model truck builders all around the world. Such a book hasn’t been here for decades. There is an obvious need for such a book but as there is no reference everything had to be done from scratch. The layout, the content and all the material had to be created by me and there is nothing one could compare my work to. However the book outline was clear to me months before I started. 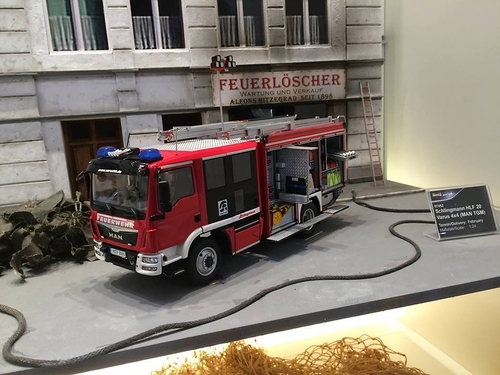 My idea was to include all the important information typical for building truck models such as the information about kits, general info about the model quality and authenticity. I focused on describing the design of the real vehicles and the wiring which are both very important for model builders. The book content was planned as new and fresh. Three highly detailed truck models were built exclusively for this book and except for a couple of marginal topics all the content is new and tailored for this book. Furthermore an exclusive photo gallery collecting some high quality models of my friends is featured. Canfora publishing based in Sweden was a logical choice for me as I have always had Toni Canfora related to high quality and beautifully designed books covering various modelling areas. Together we were able to create a work I am proud to put my name on. The book will be available in May. For more information watch www.CANFORA.se and Nedtrans - scale truck models on facebook.